The holiday season is prime time for retailers to sell, sell, sell! This enormous shopping season is full of special sales, holiday deals, and of course, holiday themed packaging. 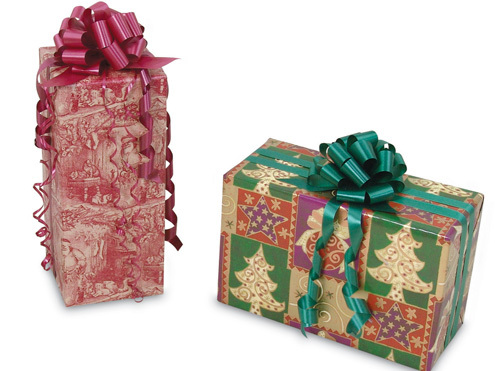 For small businesses, conjuring holiday-specific packaging can be difficult and expensive. There can be issues with cash flow, inventory, and storage space to worry about. For these reasons, businesses with tight budgets can’t always accommodate specialty packaging for the holiday season. 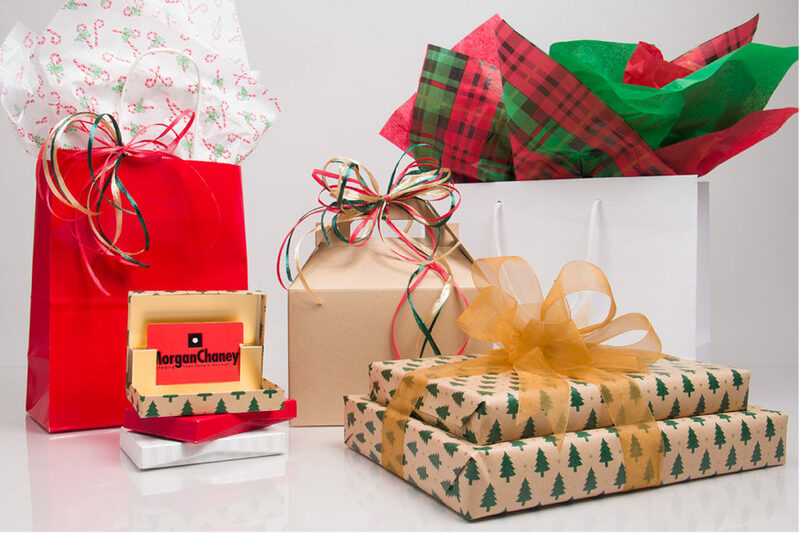 Utilizing unique packaging and accessories along with custom made packaging, any business can create unique and creative holiday themed packaging! 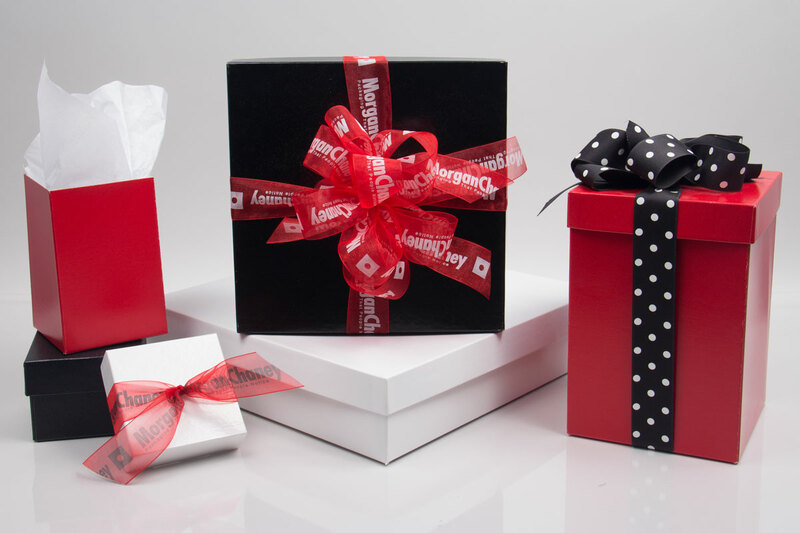 Instead of purchasing specialty holiday gift bags and gift wrap, consider using accessories to add a special holiday touch to your packaging. Holiday printed tissue paper can be purchased in many different designs to fit many style and color schemes. There is a wide range of tissue paper options including subtle sparkling colors, Christmas and holiday designs, and winter themes like snowflake prints. Ribbons and bows in festive colors like red and green, or metallic shimmer colors, can add a holiday feel to your packaging with very little cost. Tissue paper and ribbons take up little storage space, and the extras can be socked away for next year without effecting storage space too much. Pull-bows can be used as a minimal bow option, because very little storage space is required. Pull bows assemble in seconds and make the perfect bow every time. These bows store flat unlike typical confetti bows, so they won’t get crushed or crumpled in storage. With so many accessory options for the holiday season, there is no reason small businesses should have to sacrifice on their packaging. Many packaging items can translate seamlessly from the holiday season to year-round use. 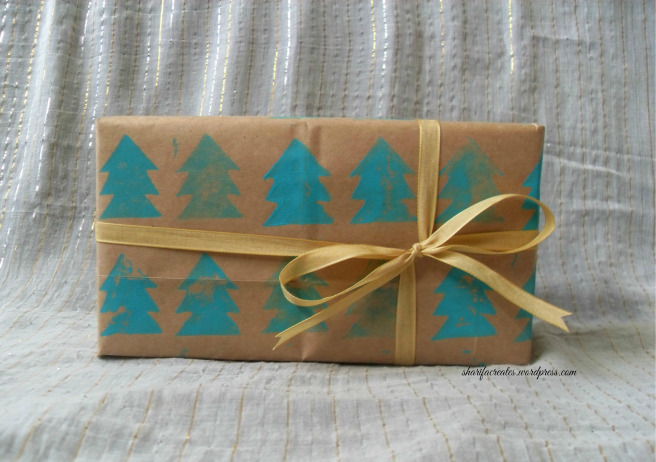 Natural kraft packaging items are always a popular choice, and they can be decorated beautifully for the holidays using tissue paper, ribbon, and other accessories. That way you can use the same natural kraft shopping bags and boxes year-round, and switch out your accessories for holidays. Another great versatile option is black or white packaging. Many packaging items like shopping bags, eurototes, and boxes can be purchased in matte or glossy black or white that can be used year-round. Black can be used as a more sophisticated holiday packaging option paired with metallic silver or gold accessories or with touches of red and green. White can represent a ‘winter wonderland’ style of packaging accented with silver, white, or colored tissue paper and ribbons. Other solid colors like matte or gloss red, green, and metallic colors can be used for the holiday season as well as year round. A pop of color in your packaging can attract positive attention and leave a lasting impression for your overall brand image. Drawstring pouches are a great packaging option for businesses on a budget. These easy to use bags provide all-in-one packaging for many small to medium sized retail items and don’t require extra tissue paper or ribbon. Pouch bags are much easier to use than gift wrap and they are more economical than the combination of gift bags and specialty tissue paper. Pouches come in many different sizes, colors, and materials for any type of business or style. 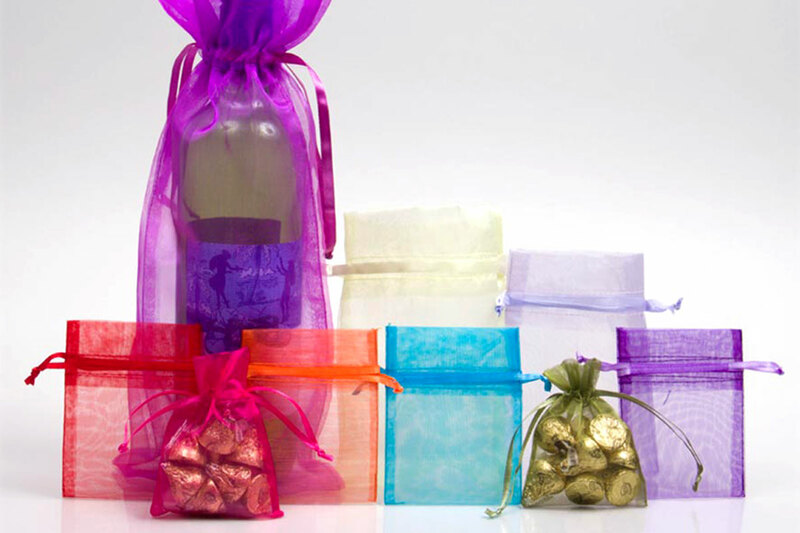 Some more whimsical and casual options include jute pouches, and sheer organza pouches, which provide a pop of color to your packaging. Organza pouches are perfect for products you want to be seen through the packaging, because they are sheer and semi-transparent. Some more sophisticated pouch options include satin pouches, velvet pouches, and faux suede pouches. These types of pouches come in black, white, and some other colors (certain pouches) and are ideal for luxury retail items like jewelry, perfume, gourmet food and wine. Pouches are very inexpensive and can be ordered in quantities that work well for your business, so you don’t have to order too many at one time. For businesses with a natural, eco-friendly, or vintage style, stamped packaging can be a great complement to your brand and products. You can choose any type of packaging with a smooth area for stamping and get custom stamps made for the different seasons and promotions. Paper shopping bags are especially popular for custom stamping, along with gift boxes, jewelry boxes, bakery boxes, and more. Natural kraft and white packaging items are usually the best color options for stamping to ensure that your stamped image shows up well. Natural kraft paper shopping bags made with 100% recycled materials are an eco-friendly option that can be custom stamped and personalized. The stamped custom packaging look is a popular choice for small businesses who have a vintage or natural style. Businesses can use custom printed labels on many different types of product packaging and promotional accessories to help reinforce and advertise their brand. Labels are a great way to create versatile packaging options for your business when you use several sizes and types of packaging. Labels can be used for shopping and gift bags, boxes, envelopes and gift card holders, food packaging, tissue paper, and more. Labels can even be made with a normal home printer, although custom labels can be purchased through experienced packaging suppliers like Morgan Chaney for higher quantities and more sophisticated graphics. It may be time consuming for a small business with little resources, but custom handmade packaging can leave a memorable impression on your customers. Handmade packaging can include anything from a handwritten or hand drawn note, ribbon tied in a unique way, or traditional packaging items used in unique ways. Many small retailers use handwritten or hand drawn notes in their e-commerce shipments, to make a point that they care about the customer. These small special touches encourage a positive impression for your customers which makes them more likely to share your brand, recommend to friends, or write online reviews. Pinterest is a great resource for handmade packaging ideas and inspiration! When it comes to retail packaging, there are so many opportunities to be creative, even when you’re on a tight budget. Many packaging items are versatile and can be improved through DIY efforts and accessories. Check out our wide selection of in-stock packaging at Splash Packaging to get started on your creative retail packaging!